Apple debuted Apple TV+ in a star-studded announcement featuring celebrities ranging from Oprah Winfrey, Jennifer Aniston and Reese Witherspoon to Steve Carrell and Jason Momoa. 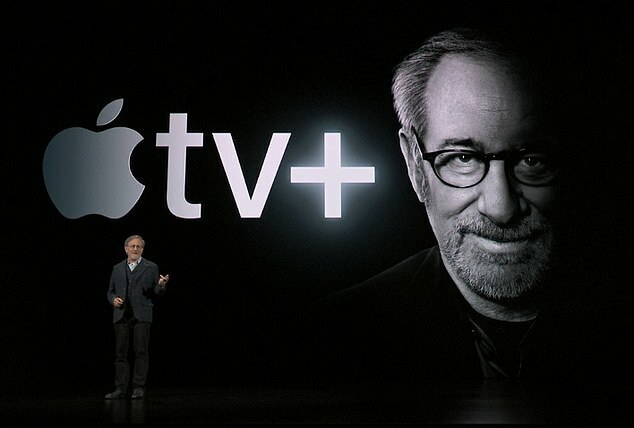 Director Steven Spielberg will also reboot the TV series 'Amazing Stories' for Apple TV+. In a surprising move, Apple also unveiled a new iPhone-linked credit card, dubbed the Apple Card, as well as Apple Arcade, a game subscription service that lets users access more than 100 'exclusive' titles from TVs, smartphones and desktop devices. Apple is launching a new dedicated section of the App Store that's dedicated to Arcade. Among the other rumored offerings expected to be debuted are a video streaming service, populated with original content from Apple and programming from HBO, Showtime and Starz. It's also possible that Apple could launch a monthly 'Netflix for games' subscription, in addition to a credit card that's tied to the iPhone and Apple Pay. The announcement comes amid declining sales of Apple's main revenue generator, the iPhone, as well as a number of recent updates to its other flagship products. It's unclear whether the stream was live or pre-recorded, but it has since ended with hours to go before the event kicks off this afternoon. Some have speculated that it could be a teaser for what's expected to come from Monday's event. The tech giant is also rumoured to have landed a deal with Oprah Winfrey to contribute to its original shows. It's unclear how much Apple will charge for its original content, but the Wall Street Journal reported that Apple could offer monthly subscriptions to Starz, Showtime and HBO for $9.99 each. The offerings will all be made available to users in a new TV app, the Journal said. At Monday's event, Apple also plans to debut a revamped news subscription service. Another announcement, though much less likely, could center around Apple's long-rumored gaming service. For a monthly fee, users will be given access to a bundle of paid games from developers that are available in the App Store, Bloomberg reported. These could include popular paid titles like Minecraft, Grand Theft Auto or NBA 2K. If the gaming service isn't unveiled on Monday, Apple could be holding off on the announcement until its annual Worldwide Developers Conference later this year.